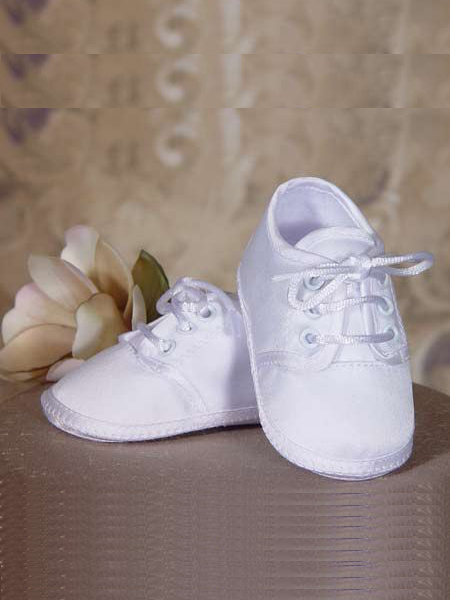 Beautifully constructed baby boy christening oxford booties made of 100% matte poly satin. Usually ships from the DapperLads store in 2 - 3 business days. The bottom of the booties measure as follows: 0 - 3 3/4", 1 - 3 15/16". Booties may only be returned if they are unopened and not tried on.